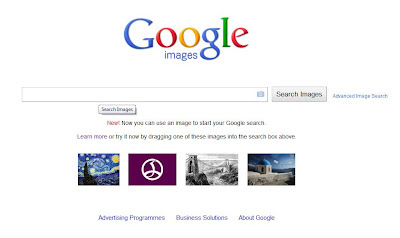 You can now drag and drop any image into the Google Images search bar, and it will try to match it. I've tried it with some pretty obscure stuff, and it hasn't failed me yet. The possibilities for identifying unknown thrifted items are particularly exciting. I'm going out to play on the interwebs now. I may be some time. Ooh that's ace, I didn't know that. Shall we call the authorities if you're not back in a couple of days? It is beyond brilliant. I've managed to identify the patterns of several bits of china, with just a photo and the manufacturer's name or serial number. Even when it has failed a couple of times, it's searched up some lovely "similar" stuff.